My family is asking for you to be on the lookout for our domestic short hair cat. 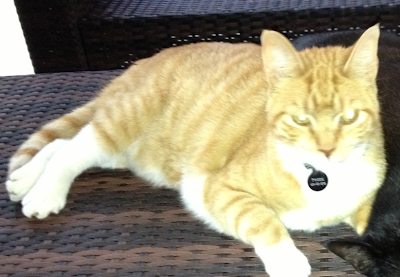 Tweek is a 10 year old large orange tabby male cat who has been missing since Saturday, July 27. He lives on Brengare Drive and has a collar. He loves for people to give him pets, so he goes door to door to get them. He usually is home for meals but we have not seen him. Please call Aimee at (404) 931-9376 (same number on his collar).